Laurie Barkin, RN, MS has worked as a staff nurse, head nurse, nurse manager, instructor, and psych liaison nurse. Her book, The Comfort Garden: Tales from the Trauma Unit, won the American Journal of Nursing Book of the Year Award and a Nautilus Award for excellence in writing. In this guest blog post, Laurie shares personal insights into caregiver stress and the role of institutional support from her years of working with trauma survivors. You can find out more about Laurie on her website. “How can those of us who bear witness to trauma make sense of the violence inequity, injustice, and waste of human potential that confronts us daily? What should we do with the feelings we feel? Too many front-line healthcare clinicians are struggling with burn-out, compassion fatigue, and moral distress at work. Contributing factors include high patient acuity, fear of making medical errors, unrelenting exposure to human pain and suffering, and inadequate staff resources. When front-line staff are stressed, the entire system is negatively impacted. The solution is a combination of “self-care” and institutional support. I came to this conclusion after attending a psychological trauma conference in the late 90s where I heard the phrases “vicarious traumatization” and “secondary traumatic stress” for the first time. Back then, I had been working as a psych nurse consultant on the trauma unit of a large hospital for a few years. Many symptoms described by presenters resonated with me: nightmares and intrusive images related to my patients’ stories, palpitations, shortness of breath, excessive worry for my children’s safety, and emotional fatigue, to name a few. At the conference I learned that the antidotes to caregiver stress were staff support groups and a commitment to good self-care practices. In speaking with other trauma professionals, I learned that many trauma programs provided time each week for staff to process and reflect. These practitioners were incredulous that our program—affiliated with a major teaching hospital—did not. Months later, after listening to a particularly vicious story from a survivor of sexual violence, I requested time in our staff meeting to talk about it. Again, I was turned down. That’s when I decided that, because my mental health was worth protecting, I had to resign my position. Since then, I’ve been writing about the experience of bearing witness to others’ pain and suffering. One of the questions I’ve considered is this: Is caregiver stress solely attributable to the work itself or do aspects of the caregiver personality play a role? Most people who decide to pursue caregiving careers are naturally empathic. From where does this wellspring of empathy originate? In my decades as a psych nurse, I’ve spoken to many nurses (and other healthcare clinicians) about why they chose their professions. Many grew up in families that provided fertile ground for caregiving experiences. In families battered by addictions and trauma or stressed by disability and illness, these future caregivers often assumed responsibility for younger siblings, grandparents, parents, or themselves when adults were unavailable. In this way, they learned to be responsible caretakers, sensitive clinicians, conflict managers, and family administrators. Because of the skills honed in our families, we are good at what we do. However, if the emotional pain of the family crucible still lives within us, i.e. our feelings remain “unresolved,” we may be especially prone to caregiver stress. So, in addition to self-care practices such as yoga, meditation, journaling, exercising, maintaining adequate sleep and good nutrition, etc., I’m all for people pursuing individual psychotherapy as another tool in one’s self-care practice. But since the antidote to caregiver stress is both personal and institutional, hospital administrators and executives also have an important role to play in decreasing job stress among clinical staff. In addition to limiting mandatory overtime, creating a safe environment, paying competitive salaries, and improving general work conditions, they could, for example, provide on-site childcare and banking services, host farmers’ markets on campus, champion support groups, and sponsor staff wellness centers. Additionally, they could offer regular staff retreats, on-site mini-massages, and an on-call confidential counseling service for work-related issues, to name a few. Nurses and physicians who value caring want to provide excellent care for their patients. Actual caring—as opposed to performing tasks associated with caring—requires time and emotional labor. When clinicians are bolstered by self-care practices and supported by administrative practices, they are energized by their work, not burned out by it. Do you have a regular self-care practice at home and at work? If so, what does this include? If not, what prevents you from doing so? How does your workplace support your work as a caregiver? An academic article by our very own Pat Fisher. 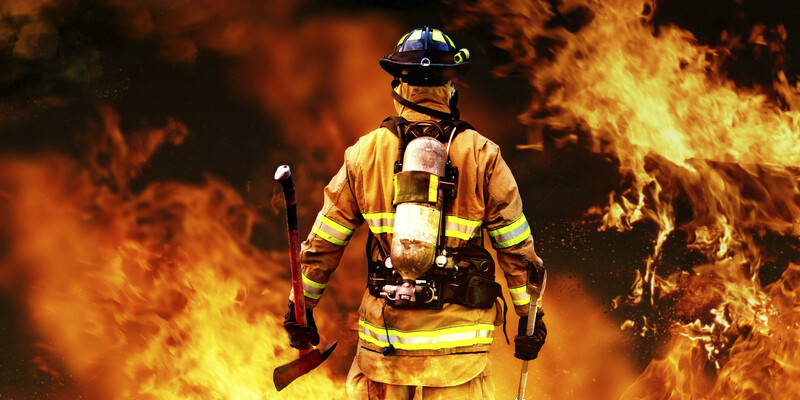 Do you have any firefighters in your lives that you know could use this information? Please share. HUFFPOST, THE BLOG 07/02/2013 06:45 pm ET | Updated Sep 01, 2013 Addressing Workplace Stress: A Comprehensive Wellness Imperative for Individuals and Their Organizations By Patricia Fisher, Megan Cleghorn • • Identifying the most pronounced sources of stress in your life is rarely difficult. However, pinpointing some of the less overt stress triggers is more challenging. Understanding how multiple sources of stress in your life act in concert to create your own individualized risk and resiliency profile is even more complex. One thing we know with certainty is that your health and wellness cannot be compartmentalized. No area of your life is exempt from impact if one or more other areas of your life are burdened with high stress. Similarly, just as no discrete part of your life is singularly impacted by high-stress exposure, you are not the only one impacted. Your stress level has many consequences for your organization’s health that manifest in terms of direct and indirect costs as well as detrimental effects on the work environment. As a result, your organization has a vested interest in your ability to effectively address stress and burnout, because your wellness drives your organization’s performance. Accordingly, creation of a robust organizational wellness infrastructure and implementation of research and experience based stress-management programs should be embraced as a central operational priority. What Does My Risk Profile Look Like? Gaining an accurate awareness of your stress risk and resiliency profile in your professional and personal life is an important initial step toward enhanced wellness. There will be factors that are supportive and resiliencebuilding and other factors that increase your experienced stress. With respect to your professional life, for example, consider factors such as workload, level of control, job demands, role ambiguity, and compensation and advancement opportunities. Also consider your individual risk factors such as work/family conflict, and your belief in the value of your work. Consider the same in your personal life. This analysis helps you determine how at risk you are to develop stress and trauma symptoms. How Well Am I Taking Care Of Myself? Our bodies and minds are not designed to sustain consistent exposure to high levels of chronic stress. Evaluate what you are currently doing to manage your stress professionally and personally. Take a holistic approach to your selfassessment because a balanced lifestyle is central to effective self-care. Often we find that our self-care may be quite good in some areas of our lives and neglected in others. The more balanced we are, the more we are able to cope with the stresses and demands that we face. Unfortunately, many of us find ourselves caught in a tornado of work, family responsibilities, household tasks, and other personal obligations. Life can then become a succession of stressful events, deadlines and obligations, leaving little opportunity for renewal or even for simple pleasures. Consider what steps you are currently taking to manage your self-care physically, psychologically and emotionally, cognitively, behaviorally, interpersonally and spiritually. What Is My Stress Symptom Profile? We know that chronic stress plays a central role in the development of stressrelated physical and mental health challenges, cognitive functioning, professional and personal relationships, and the ability to see life with optimism, hope and energy. 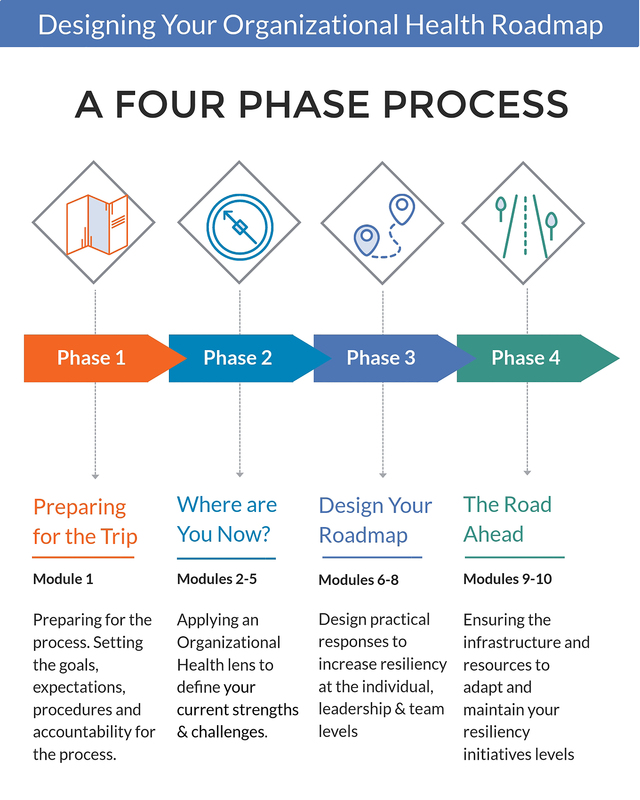 Once you have established your risk and resiliency profile and your self-care profile, consider your individual profile of stress symptoms and effects, focusing on physical health challenges such as stress-related illness and disease, and mental health consequences such as depression, anxiety disorders, and substance abuse. It is also essential to probe the specific symptoms you experience relating to job stress, burnout, harassment, and exposure to direct and vicarious trauma. In moving from awareness to action, it is essential that you acknowledge and accept the magnitude of your stress symptoms and commit to developing an active and practical wellness plan. That wellness plan should be constructed to allow you to recover from any existing stress effects, to then maintain a level of self-care that matches the level of demands placed on you, and to engage in proactive practices to increase your resilience. Ultimately, to succeed in enhancing your individual wellness and, in turn, your organization’s health, you must build a comprehensive lifestyle that supports and sustains you through work and personal stresses. Sustainability rests on the principle that you have to replace that which has been depleted. If you are going to be a productive, active, effective person and teammate, you need to be well-nourished at all levels. To make durable changes in your professional and personal life, you and your key stakeholders must partner in (1) making a serious commitment to address the impact of stress in your lives, (2) taking responsibility for what you choose to do about your stress-management, and (3) taking action from an attitude of care, concern and respect. We need to clearly understand that for both individuals and organizations to flourish, we must treat our individual and collective wellness as a central operational imperative. 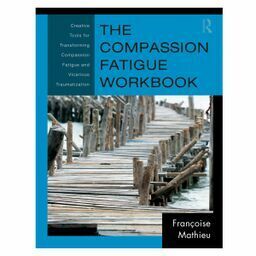 Beyond Kale and Pedicures…What works to manage compassion fatigue? Every day this week, we are sharing with you some highlights of the upcoming Compassion Fatigue Care4You Conference June 3-4th, 2014. Since the mid 1990s, an entire new industry of wellness has emerged: workshops, books, retreats and videos, all aiming to assist professional caregivers and other helping professionals reduce compassion fatigue and vicarious trauma. Many workplaces jumped on the bandwagon early and started encouraging self-help strategies in their staff. Human resource departments began running workshops for staff on healthy eating, work-life balance and “stress busting”. Some organizations implemented regular fitness breaks and staff appreciation days. This presentation will discuss new research which suggests that in order to reduce compassion fatigue and burnout, we need to adopt a multi-pronged approach. Helpers, on their own, cannot be expected to fix an entire system. They do however remain responsible for their own well-being – it is an ethical responsibility, for themselves, their clients and the community in which they live. So, how do we make this work? Join us for an exploration of where we are at, 20 years after the birth of this field. Work life balance: A load of bunk? I also met staff from the UNHCR, presented at a children’s hospital in San Diego and had incredible learning experiences with fantastic helping professionals at Mount Sinai hospital in Toronto. My wonderful team of associates have also been busy, travelling to Indiana, Newfoundland and also offering a lot of training right here at home in Ontario. We presented on compassion fatigue, secondary and vicarious trauma, self care, conflict, change leadership, and developed a brand new training on rendering bench decisions to refugee claimants. I also had the chance to co-develop a new workshop with my friend and colleague Leslie Anne Ross, from the Children’s Institute in Los Angeles, called “a Roadmap for Change Agents.” We are firm believers that the best way to promote healthy workplaces is to encourage the emergence of champions in each agency. This was an opportunity to share best practice ideas with folks from various child welfare departments in L.A. County, and encourage them to spread the learning about healthy workplaces.